A double size of the Clarins classic body lotion. 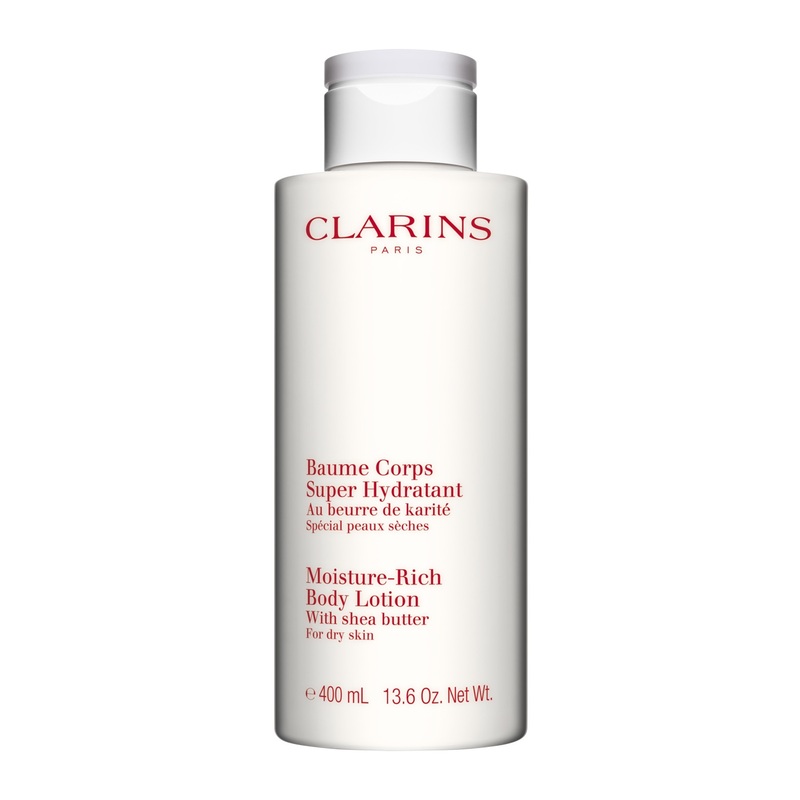 Clarins’ Moisture-Rich Body Lotion is a moisture-replenishing lotion—with Peach Milk, Shea, Candlenut Oil and Orange Blossom to nurture and care for your skin. A very popular moisturizer for dry skin, and an essential part of a body care programme, the delicately fragranced body lotion leaves your skin super smooth and baby soft. Perfect for soothing and pampering dry skin. Give yourself a treat to look forward to and indulge in on a daily basis, thanks to the luxury size! This great value Luxury Size gives you a saving of $33. Rated 5 out of 5 by BaroqueP from Love My go to ... always stock up when the luxury size is available. Rated 5 out of 5 by Bunontherun from Silky smooth skin I love the moisture-rich body lotion because it is rich but not at all greasy, it is easy to apply and it has no scent. I particularly love the value of the supersize.